Christopher Hitchens died last night. The man – whose invective against the Deity surely swayed at least some to unbelief – has now met God. Douglas Wilson, who debated Hitchens in print and in person, has written an obituary where he considers the possibility that Hitchens believed in the last hour. I would rather not dwell on the eternity of this man, but I love to consider the possibility that a life time of blaspheming the Savior could be wiped out with one deathbed cry. The conversion of the thief on the cross tells us this is gloriously possible. Moreover, in Matthew 20:1 – 16, Jesus tells this story of a Landowner who hires some workers at the start of the day: “Come work with me and I will give you a denarius.” He hires others throughout the day, up to and including the last hour, and then proceeds to hand out a denarius…to everyone. This is grace. The fact that any sinner goes to heaven is glorious, and it matters not whether we have been laboring for the Savior from childhood or we have trusted Him with our last breath. Eternity with Jesus is always undeserved. 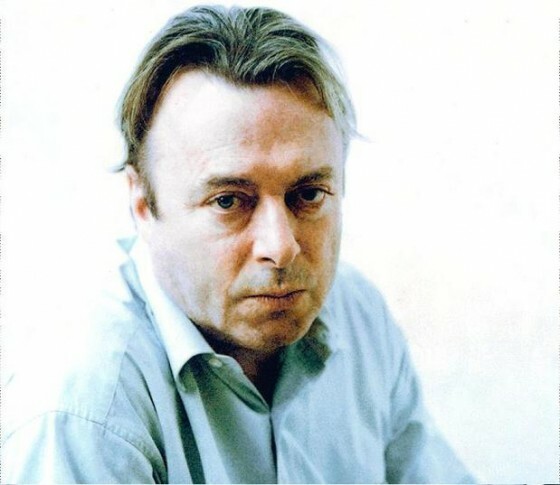 So, will we meet Mr. Hitchens in heaven? I’m thinking no…but then again, I would love to be surprised. I, for one, do not begrudge the Landowner His great generosity. I’ve been struggling with the right words here. But thinking back on it; drunk, confrontational and contrarian sounds a lot like me – if not for God’s grace. He was a man that lived life with a real vigor, although in my opinion, very misguided. I will say that he was a man of integrity – he called out anyone that he felt was wrong. The guy flipped off the right and the left with equal enthusiasm. He maligned Clinton and supported W. He may be the only person in the world to malign Mother Theresa. He was bold, profane and unapologetic. He was a guy that I would have punched in the mouth, but I still looked forward to hearing his slant on the world. When confronted with Hitchens’ thinking and writing, I feel like the mathetician in “good will hunting” that is completely emasculated by Will’s shear mathematical genius. The best quote I’ve seen on his is “He could throw words up into the sky and they fell down in a marvelous pattern”. In any event, he’s gone now. Our world loses a thinker and a great communicator. He made me angry to no end, but he challenged me to think. He was a fascinating man. His mind itself was full of “strange bedfellows”, if that makes any sense at all. I’m sure Hitchens would have thought of some more clever way to put it.